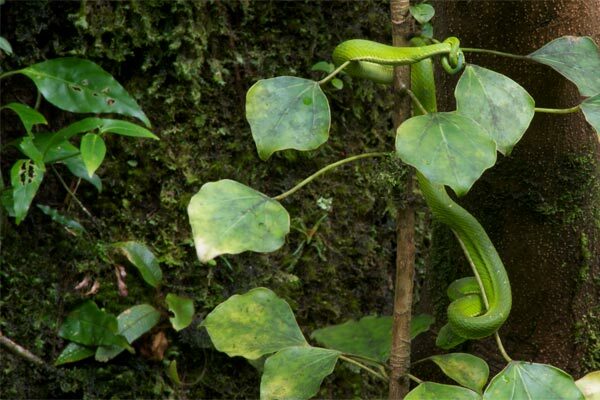 This snake had discovered Monteverde's serpent buffet, also known as the Hummingbird Garden. Dozens of hummingbirds buzzing about from feeder to feeder, yum! The birds were completely aware of the hanging snake's menace, and took turns zooming straight at it only to veer off at the last moment. The snake was completely unfazed.